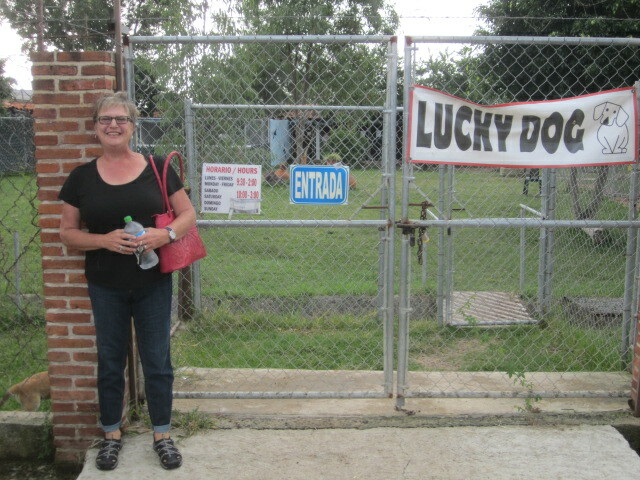 I was fortunate enough to get a ride and tour from Shelley Ronnfeldt to the new Lucky Dog Shelter just outside of Chapala. Shelley is in the photo below. 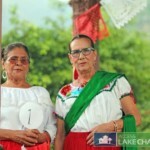 Their address is: 110 Carretera, San Nicolas. Their open hours are: 9:30 a.m. to 2:00 p.m. Monday through Friday. 10:00 a.m. to 3:00 p.m. Saturday. 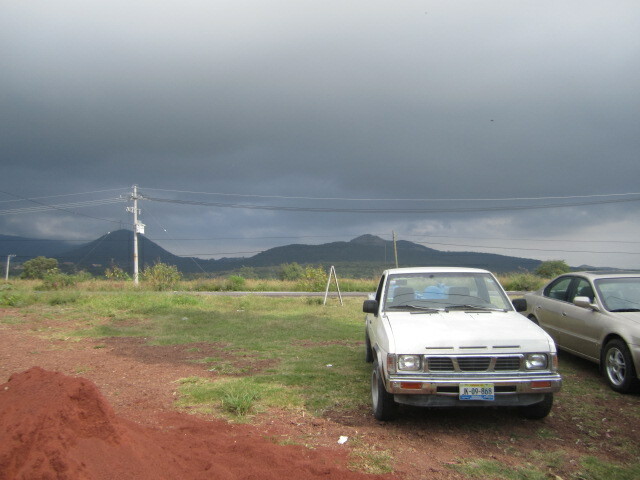 If you drive, take the carretera from Chapala toward Mezcala. 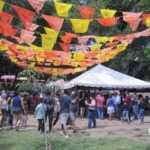 The street is Gonzalez Gallo and it goes past The Cruz Roja and Christiana Park and the Old Train Station. 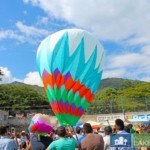 It is located 2.5 Kilometers outside of Chapala on the lake side, before Vista del Lago. 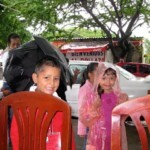 If you don’t have a car, just catch the bus that goes out to Mezcala. It will also say Sta Cruz or San Nicolas. It goes right by the Shelter. You are welcome to visit or help out. They always need dog walkers or other kinds of help from cleaning to doing intakes or adoptions. If you want to adopt a dog, you can go out at other times besides their regular hours. Just call them and arrange it. Their cell number is: 331 300 7144. 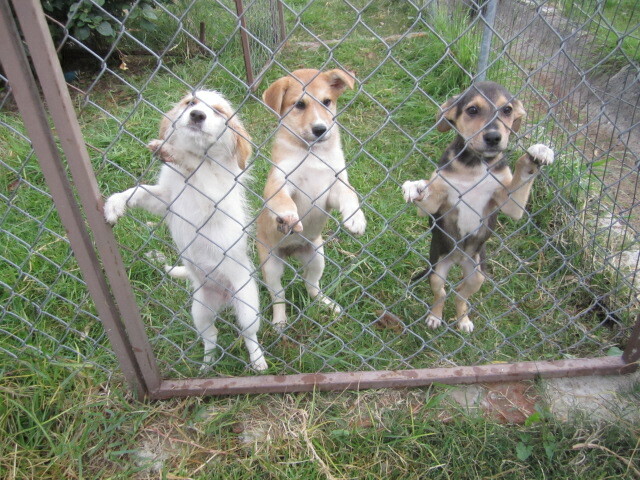 Above is a photo of the three puppies, available for adoption now. You can get on the facebook page and learn more about the dogs that are available. 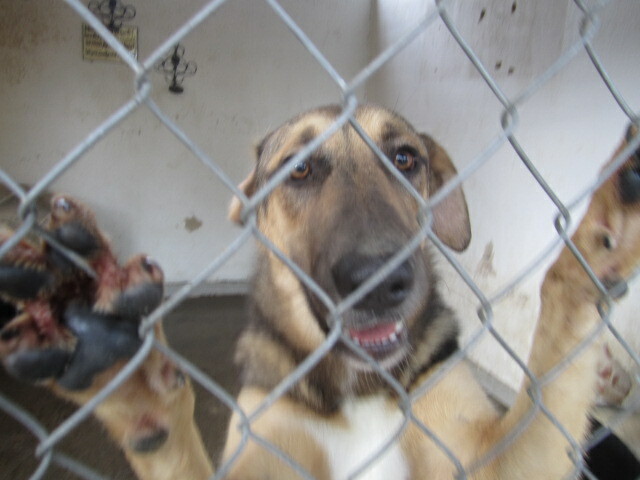 Just go to facebook and put in “LuckyDogRescueLakeChapalaJaliscoMexico”. 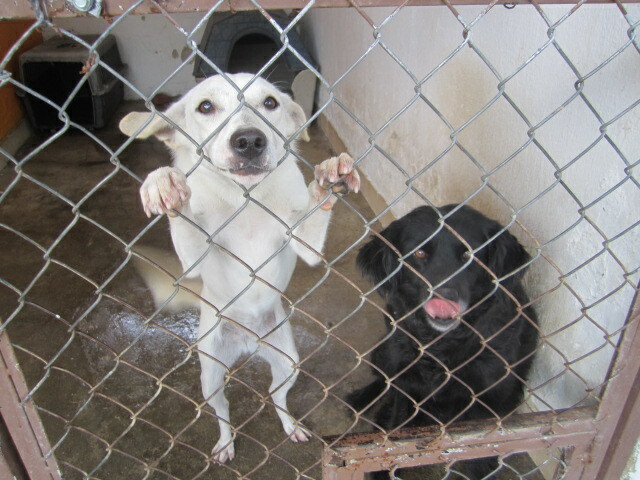 You will see these dogs and their histories and names and you might even fall in love with one and want to adopt it. That really would be a lucky dog. 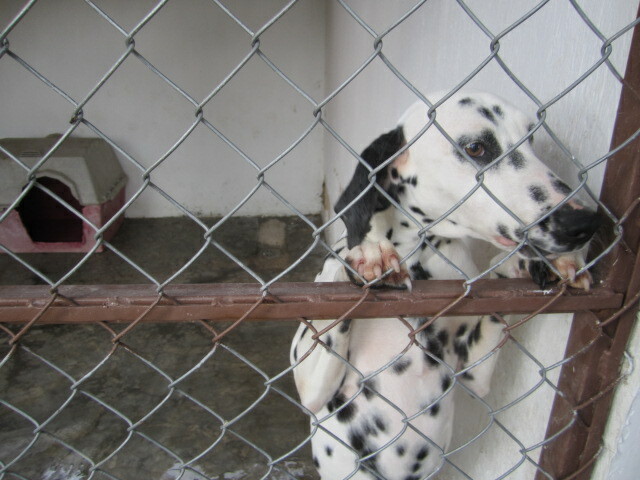 Also, you can go to the website: Luckydogrescuemexico.com. They have a wonderful video of dogs that have been adopted. Also, you will see what they need as far as supplies and how to donate your time and money and lots of other useful information. They are in the process of applying for official status as a nonprofit organization. Next week they will sign the final papers. So if you want to donate money, it will be tax deductible for you. The photo above shows some of the cages. They have room for 21 dogs and right now they are at full capacity. I was amazed at how clean the cages were and also the grounds. The dogs seemed very happy there. 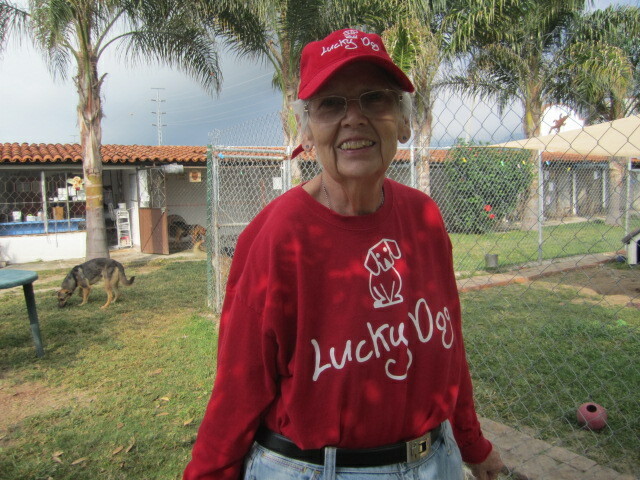 Here is their mission statement: Lucky Dog Rescue and Adoption’s mission is to help save the lives of innocent dogs and puppies that are abandoned or found starving and/or injured in the streets of our communities on Lake Chapala, Mexico. 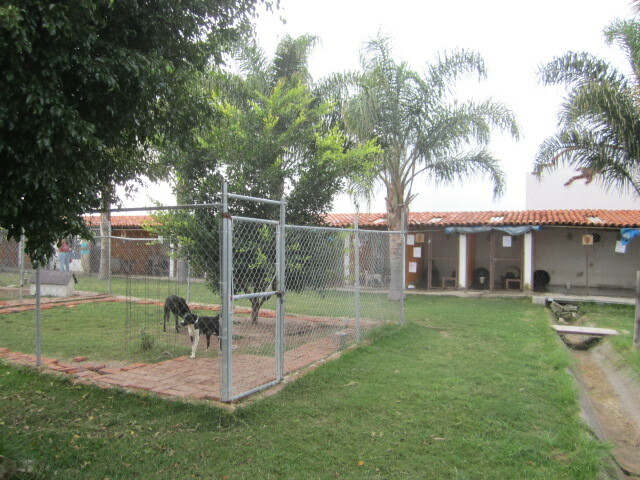 This shelter was once located across the street from the cat shelter and store in Riberas del Pilar. Some of the money from the sale of food at this store is donated to the Lucky Dog Shelter by the store owner, Geoffrey Kaye. He is very generous and once every six months he makes a large donation. Other people also make large donations for the dogs. There are also fund raisers from time to time. This new shelter has been in existence for ten months. Neighbors had complained about the noise at the old location but the dogs can now bark all they want. They are out in the country with no neighbors. The old shelter closed down on June 12th, 2012 and the core group worked very hard to get it reopened in the new location on December 12, 2012. November 13th 2013 will be a donor brunch. It will be held at Manix restaurant. 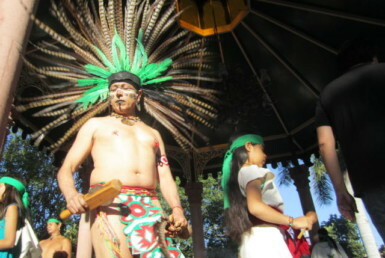 Above is a photo of Alfonso. He lives on the grounds five days a week and takes care of the dogs. On week ends he goes home and Haima comes and stays until Monday mornings. These two are the only paid employees. The rest are volunteers. Above is a photo of Shelley Ronnfeldt. 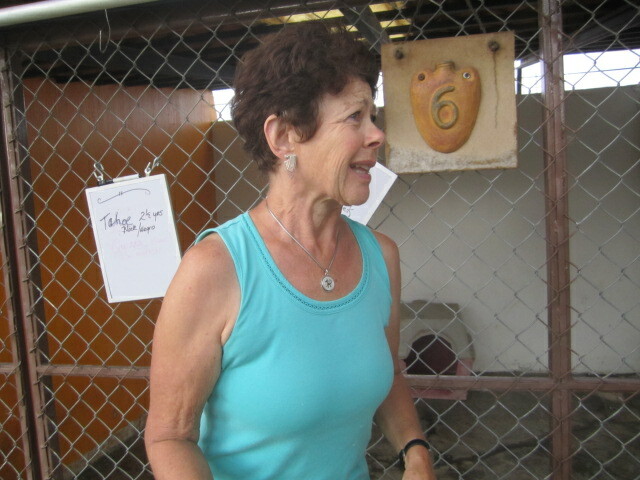 She is one of six of the core group that started the shelter. They are: Chris Bublin, Janet Kilburn, Sandy Nichol, Susan Eubanks, Bob McKeown, Shelley Ronnfeldt. There are nine others who help out on a regular basis and many others who come and walk the dogs or help with other things that need to be done. The fifteen are called The Bodega Buddies. They help with socializing the dogs, training them, feeding them, cleaning up the cages, adoptions and intake and anything else that needs to be done. 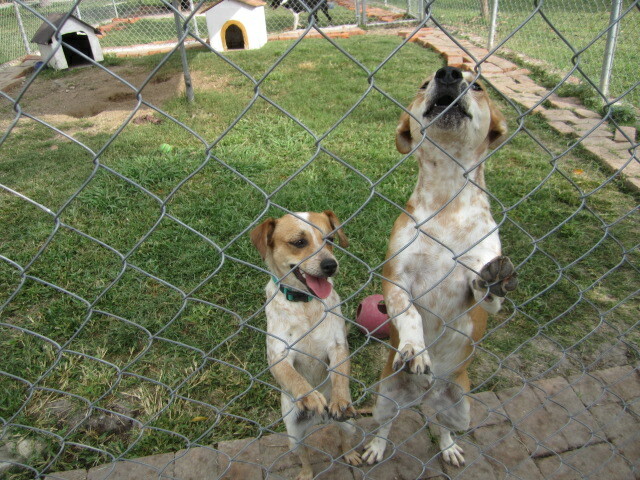 Your help would be greatly appreciated by both the dogs and the staff. I love the sign above. It is in the office at the shelter. 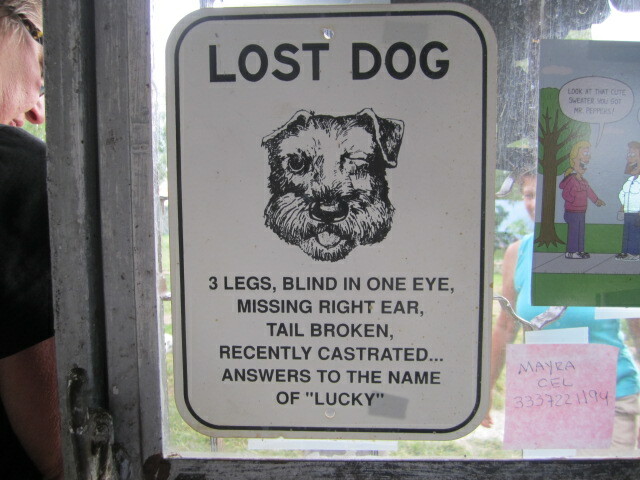 I wonder if this sign inspired the name of the shelter or if the sign came later. All of the dogs seem to get along with each other. The shelter takes in any dog in need. Drs. 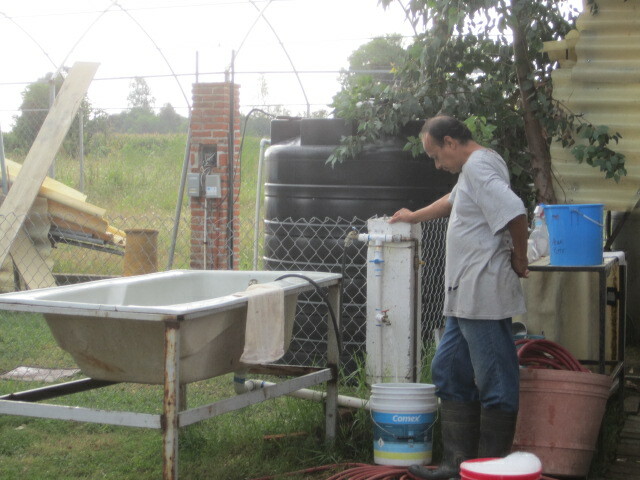 Ladron de Guevarra, Antonio, Hector and Mario, are the three primary vets who help out. They are generous in many ways. they provide free vet care and charge very little for extra care. There is a vet at the shelter two days a week. There are approximately two surgeries a month. 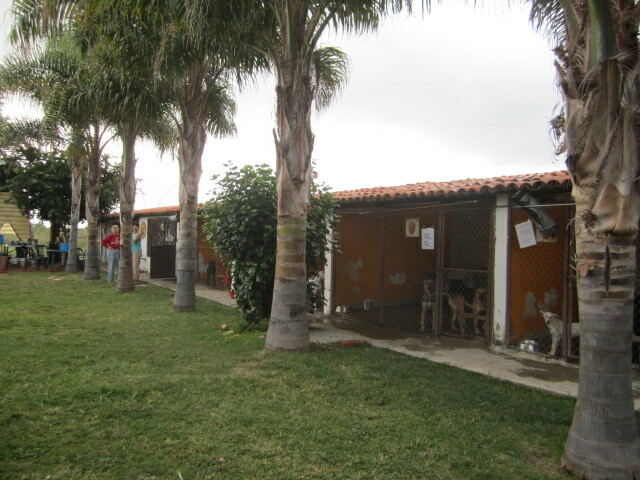 They provide free vaccines and and flea and medial check ups on all the dogs. The shelter also takes in sick dogs. They don’t euthanize the dogs unless they are contagious with a fatal disease or if they are aggressive and dangerous to the other dogs or people. They keep the dogs until they are adopted. The shelter rents the space from Dr. Ladron. He has a dog boarding center next door. 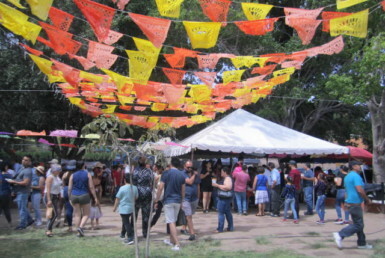 The mural above was painted by a local artist, Sasha Pharris. 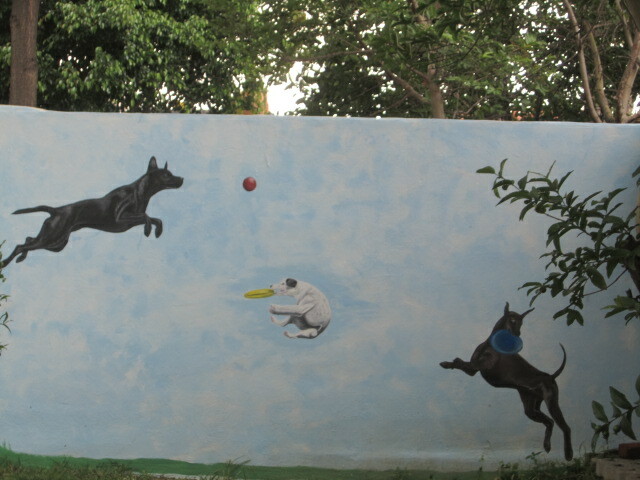 One of the dog cages was also painted but it was too dark to get that photo. There are many other walls, waiting for murals. 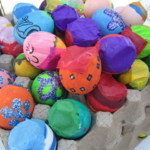 Local artists are welcome to come out and paint on them. 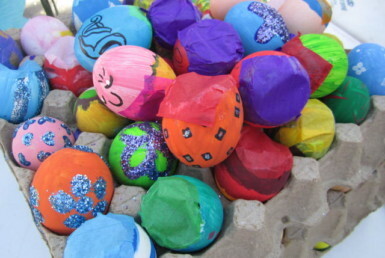 The older students at the Lake Chapala Children’s Art class are going to paint some of the walls too. The program is titled Painting for Pouches. 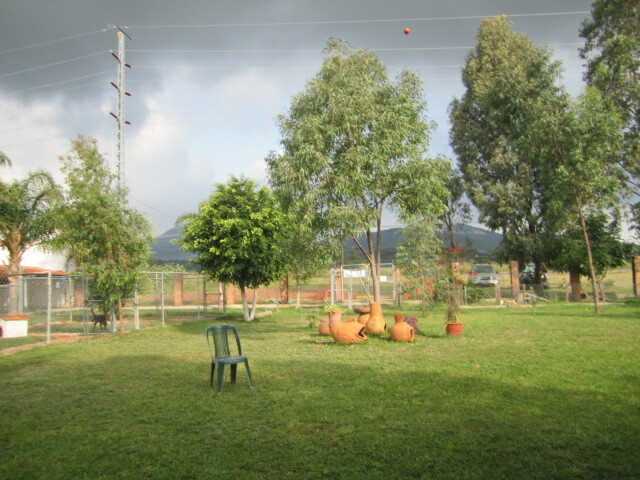 As you can see from the above photo, the yard is large and well maintained. The dogs can run around in it from time to time. They have lots of freedom out there. Above is a photo of Cameron Peters. 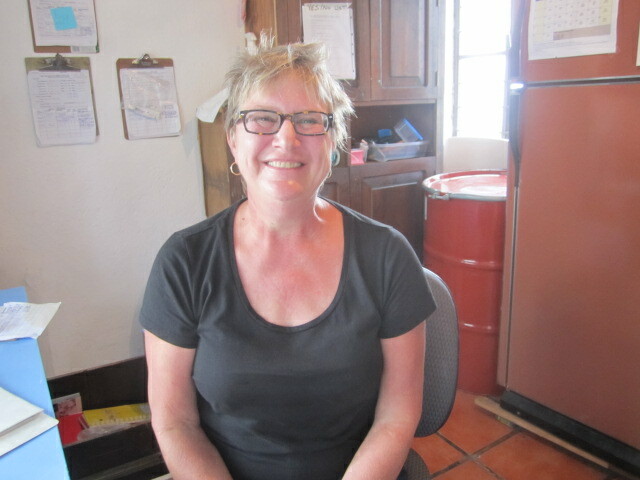 She is in charge of the frequent spay and neuter clinics that are held in Chapala. They last three days. The next one will be November 8th, 9th, and 10th. 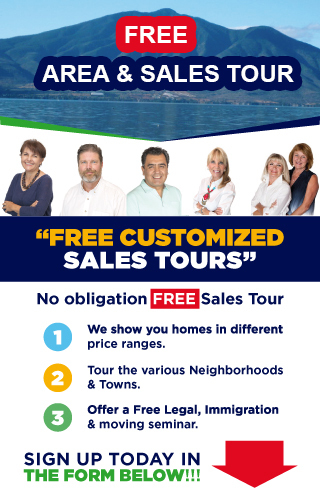 They are free for the Mexicans of limited means. Local volunteers come in to help, plus three vets come in from Mexico City. They travel all around Mexico providing this service. The last clinic did 127 dogs in three days. That is a lot of work. The female dogs are given a small tattoo so people will know they have been spayed. The anesthesias are done by a retired vet here in town, Dr. Bob. He donates his time. Sometimes curious male dogs wonder in off the street and they get neutered. Lucky dogs. Right place, right time. Maybe the dog would think– wrong place, wrong time. Susan Eubanks Susan Eubanks is one of the core group that came over from the first shelter. She was working all the time I was visiting there. If you like her hat and shirt, you can buy one or both at the shelter. Money goes to a good cause. Happy dogs. Before the dogs are adopted out, they have a physical check up. They won’t be adopted if they are sick. They get shots, all except the rabies shot and they get spayed or neutered if they are old enough for that. If not, they have to be spayed or neutered when they get older. 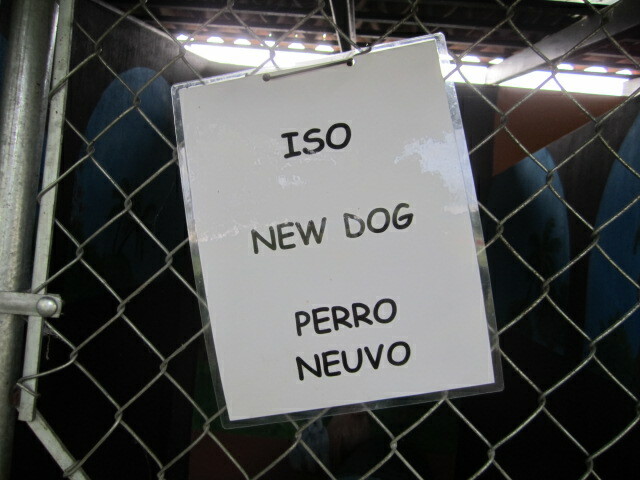 The cost of adopting a dog includes these services and is about 250 pesos, maybe a little more. For a puppy, the cost is approximately 300 pesos. 150 minimum plus 150 deposit for the spy and neuter. 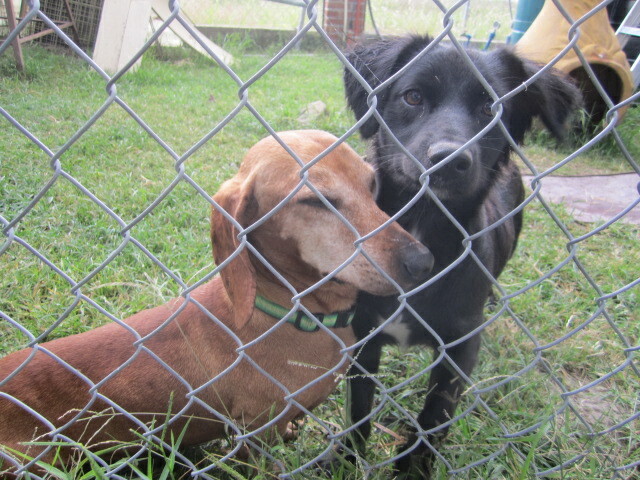 Sometimes they have a period of free adoptions for the dogs that have been there for a long time. Even though these dogs are in cages, they seem to be happy and well adjusted. Socialization is very important to the center. That is one reason it is important to have enough volunteers to help out, taking them for walks, and playing with them. How about you? Do you have some free time and want some unconditional love? It is also a great way to exercise. The dog in the next photo only has one eye. He had to have the other eye removed. But he is still a very sweet and loving dog. How can you resist these doggie faces??? 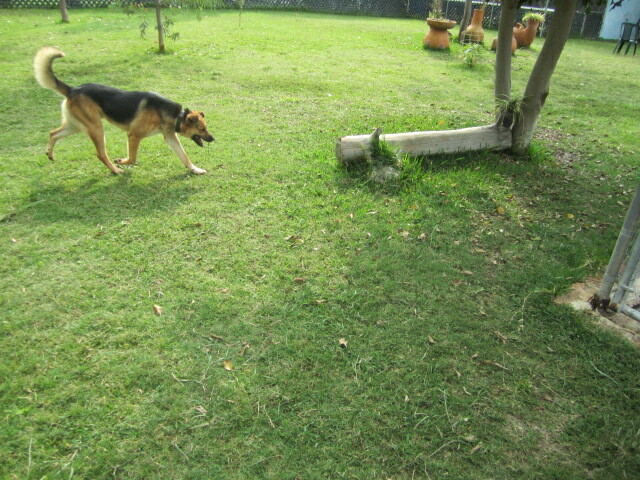 When a new dog comes into the shelter he or she is isolated for at least one week. The dog has a check up and is not put out with the others until they are sure it is healthy and friendly. There is always an empty cage just in case a dog needs to be isolated. On average, 5.7 dogs are adopted out every month. In February, there were 10 adoptions. In May, there were only 2 adoptions. May is the low season here and the hot season. The dogs have kiddie play swimming pools filled with water to cool them down during that time of the year. I bet that is fun to watch. I wonder if they have a slip and slide too…. 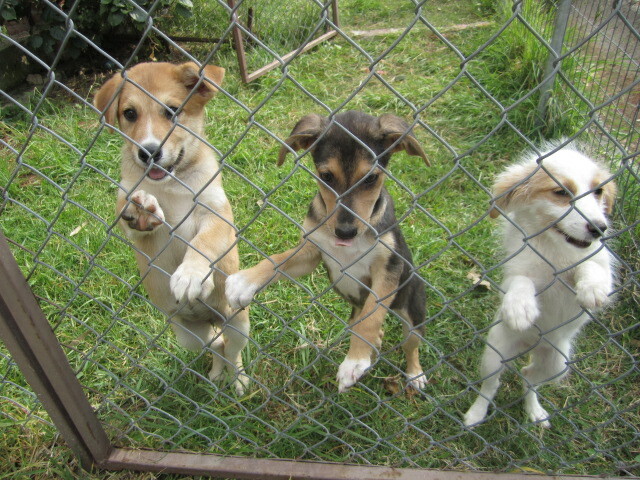 The three puppies are saying good bye to us as we leave the shelter. Wish I could take them all home with me. Location of Lucky Dog The photo above is of the parking lot. You can see what a beautiful and isolated area it is there. Nice place for a long walk. I love the above sign. It seems appropriate for the last photo. I hope you will take the time to visit the Lucky Dog Shelter when you are visiting this area and if you live here, please consider volunteering your time or even taking one of these loving pets home with you. Also, if you are interested in the previous dog shelter, check out the article written on 2011/06/01 titled: The Lakeside Animal Shelter and Pet Store, Adopt a dog or a cat. THE VERY BEST IF HUMANKIND. Powerful to see how lives are changed….the dogs, and those that love and care for them. It’s the good news in a very un good world today. Bless you all! When I get relocated down there I would love to volunteer at the shelter and would also like to be foster parent. Looking forward to getting there. WE ARE LOOKING TO PURCHASE A TOY POODLE.WE PREFER BLACK OR GRAY- WE WOULD LIKE A MALE- YOUNG 3-8 MONTHS. THIS WILL BE OUR 5TH TOY. AND THEY GET ALONG VERY WELL IN OUR HOUSE HOLD…NOW RETIRED. PLEASE IF YOU HAVE ANY TOY POODLE OR KNOW OF BREEDERS THAT DO WE ARE ANXIOUS TO PURCHASE.CALL US IN AJIJIC AT 766-0565. OR CONTACT MY EMAIL ADDRESS. ALL THE BEST OF LUCK WITH THE LUCKY DOG ADOPTIONS.IT LOOKS LIKE A NICE PLACE TO FIND AN INTERMITTEN HOME BEFORE BEING ADOPTED. Just want to say what a wonderful job you all are doing. 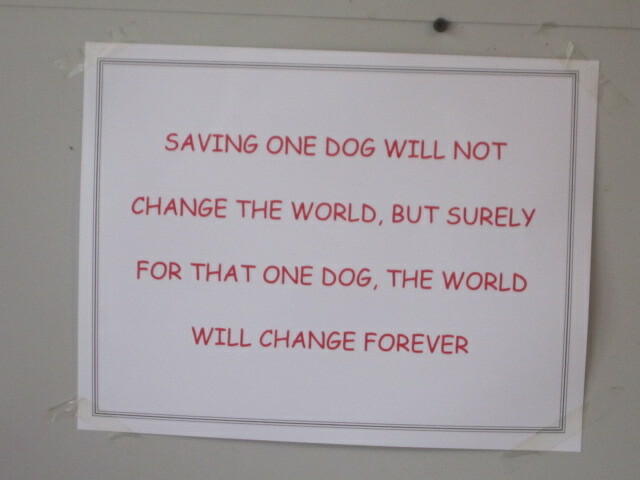 I have been in 501 non profit dog rescue for about 7 yrs now. 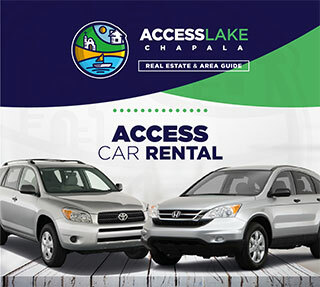 My husband and I are planning on moving to lake Chapala in Jan. of 2017. 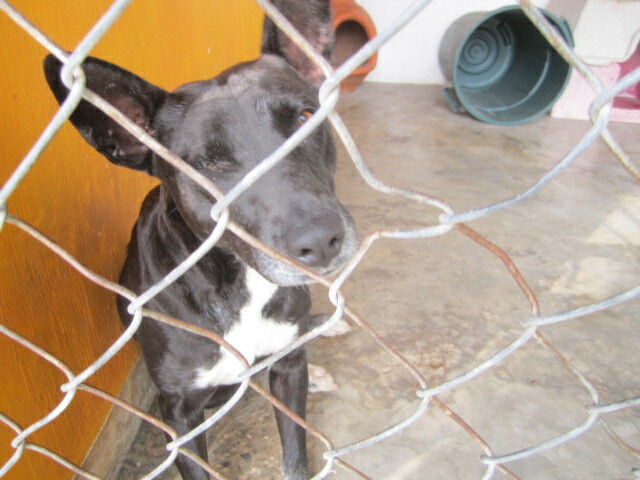 Cant wait to visit your shelter and to become a volunteer .